Does the English Premiership hold the key to Nigeria’s revival? In the highly rated Barclays league at least 18 Nigerians currently feature, a number that stirs envy even from the owners of the soil. 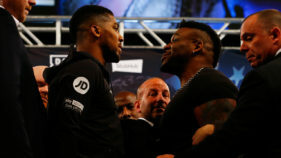 No season, since the beginning of the English Premiership in 1992/1993 has witnessed as many players of Nigerian descent in the league than the current term. As at the last count, there are 18 players of Nigerian descent currently playing regularly for some of the clubs in the Premiership. Of this number, 15 are still eligible to play for Nigeria, while three have pitched their tents for the Three Lions of England. Since Efan Ekoku became the first Nigerian to play in the EPL in 1993 when he joined Norwich City, players from the country have gone on to play prominent roles in other clubs, with some like Austin Okocha and Kanu Nwankwo, among others, still regarded as icons by fans of these clubs. In all, 35 Nigerian players have featured for clubs in the English Premiership since 1993, with 20 of them featuring for the Super Eagles at different times. Among these players are Celestine Babayaro, Nwankwo Kanu, Austin Okocha, Ade Akinbiyi, Julius Aghahowa, Isaac Okoronkwo, Shola Ameobi, Joseph Yobo, John Obi Mikel, Efan Ekoku, Victor Anichebe, Osaze Odemwingie, Victor Moses, Daniel Amokachi, Emmanuel Emenike and Yakubu Aiyegbeni, whose 95 goals make him the highest goal scorer among the Nigerians that have graced the EPL. Aside the 18 players currently playing for different English Premiership clubs, there are also players in the teams’ youth set up, who are qualified to play for Nigeria through their parents. Some of these players have featured or currently play for youth teams of different countries, but going by the FIFA rules, they can still switch allegiance to Nigeria since they have not played for the main teams of their adopted countries. The Guardian looks at the players, their prospects and how they can contribute to Super Eagles’ revival. With the recent elevation of Marc Bola to the main team, the number of Nigerians in Arsenal’s main team has increased to three. 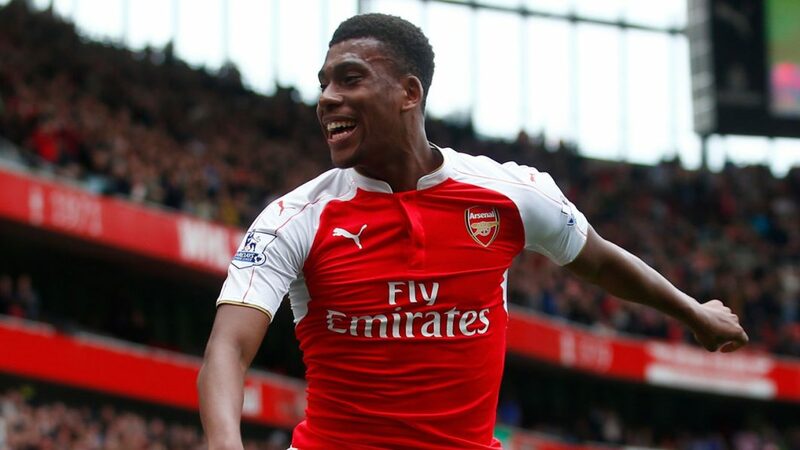 Bola has now joined Alex Iwobi and Chuba Akpom, who is on loan to Hull City, in the Arsenal first team. Akpom is expected to return to Arsenal next season to fight for a role in the Gunners’ attack. With the expected elevation of Kelechi Nwakali and Samuel Chukwueze to the main team next season, the Nigerian presence in the Arsenal first team set up will increase to five. Of the five, three, Iwobi, Nwakali and Chukwueze are already members of the Nigerian national team at different levels, while Akpom and Bola have represented England at the youth level. But since they have not played for the English main national team, they can still play for Nigeria if the Nigeria Football Federation (NFF) convinced them to switch to the Eagles. Two other youth players of Nigerian descent are in the Arsenal youth team set up, including Chiori Johnson and Tolaji Bola, both defenders. Emmanuel Idem, who plays for the U-21 side of already relegated Aston Villa, is eligible to play for Nigeria since his parents are Nigerians. Idem previously had one year at Stoke City after leaving Arsenal where he was signed as an 11-year-old. The most prominent Aston Villa player of Nigerian parentage, Gabriel Agbonlahor, is not qualified for the Eagles since he has featured for England in a competitive game. Aside Super Eagles Captain, John Obi Mikel, Chelsea also has Kenneth Omeruo, Ike Ugbo, Ola Aina and Victor Moses in its books. While, Moses and Omeruo are established Super Eagles’ stars, Aina and Ugbo are talented youth team players, who have the potential to contribute to the Eagles’ revival. Aina signed a first-year professional contract in October 2013 committing him to Chelsea until the end of the 2015/16 season. Ike Ugbo has played for England at U-17 level, but the striker is still eligible to play for Nigeria since he has not featured for the senior English team. 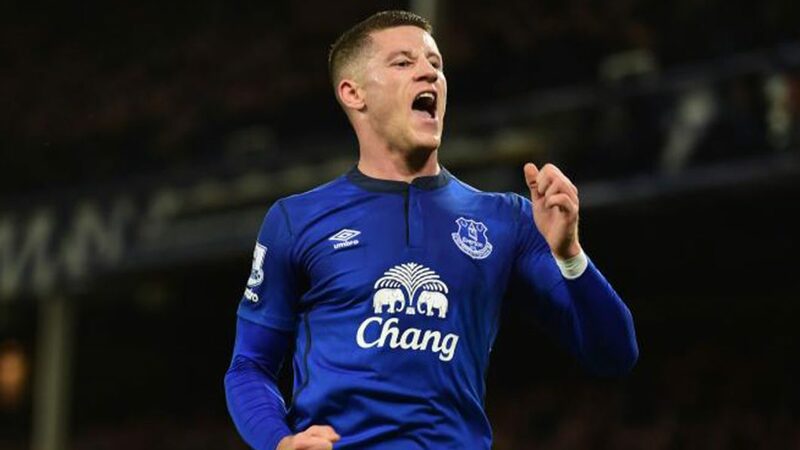 Barkley is seen as one of the future stars of the Three Lions, but the lad, whose paternal grandparents were from Nigeria, can play for the Eagles if the right moves are made by the NFF. He once expressed his preference for England, but Roy Hodgson has not reckoned with him since he took over the Three Lions. Akiotu, a left back, who can play as a central midfielder, has played in every team of the Crystal Palace youth set up. He is regarded as a prominent part of the Crystal Palace future. Aside Taiwo Awoniyi (on loan in Germany), who has played for all Nigeria’s youth teams, there are several upcoming stars in Liverpool books, who can contribute to the Super Eagles’ revival. Jordon Ibe has ruled himself out of featuring for Nigeria, preferring to wait for his chance with England, but such rising stars as Tiago Abiola Delfim Almeida Ilori and Sheyi Ojo can contribute positively to the Eagles’ cause if they change from England and Portugal respectively to Nigeria. Sheyi Ojo, a pacey winger, who can play on the left or right flank, can be a nightmare for opposing defenders to play against. Ojo has played for England U-18 squad. He was given his first-team bow when he made an appearance off the bench in Kuala Lumpur against the Malaysia XI. Tiago Abiola Delfim Almeida Ilori was born in London to an English father of Nigerian descent and a Portuguese mother. He joined Sporting Clube de Portugal ‘s youth ranks in the 2006 summer as a striker, but the club converted him to a defender. Ilori, who has played for the Portuguese U-18 and U-19 teams, was signed by Liverpool in 2013. 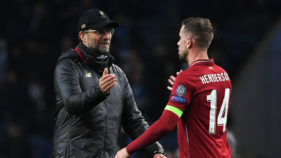 Ilori’s technique and composure with the ball at his feet, allied to his tactical reading of the game, ensured that Jurgen Klopp fast tracked him into Liverpool’s first team, where he has recently been a conspicuous presence in some of their crucial games. 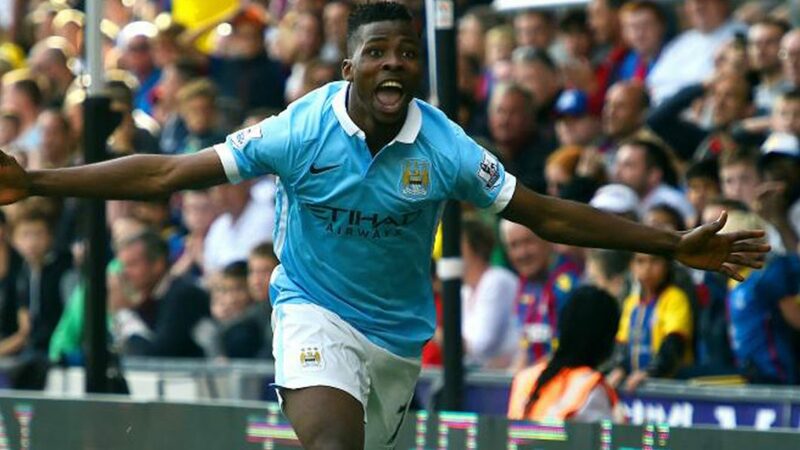 In Kelechi Iheanacho Nigeria has one of the best-known youth players in world football. The lad, described by Manchester City Manager, Manuel Pellegrini, as part of the future of the UEFA Champions League semifinalists, is already a member of the Super Eagles. Iheanacho first rose to prominence on the world junior stage when he scored six goals and made seven assists in the 2013 FIFA U17 World Cup, which helped to fire Nigeria’s Super Eaglets to success in Abu Dhabi. This incredible contribution saw him named the U-17 World Cup’s best player, earning him the coveted Golden Ball trophy. Manchester City star midfielder, Yaya Toure, describes Iheanacho as an exciting player, who can become a great world star in the future. “I love the way he plays and I feel that he will have a good career at the club and go on to become one of the players of the future,” Toure said. In Manchester City’s youth set up are Tosin Adarabioyo, Nathaniel Oseni and Tom Dele-Bashiru. These U-18 stars are eligible to play for the Eagles as their parents are Nigerians. Samuel Ameobi’s older brother, Shola, was a member of Nigeria’s squad to the Brazil 2014 World Cup. Samuel, who has played for England’s U-17 team, like Shola, can switch allegiance to Nigeria if the NFF presses for his services. Joshua Onuma and Emmanuel Shonupe, who are still open to play for Nigeria. An attacker, who mainly plays off the left, Nathan Oduwa has been capped at Under-17 and Under-18 levels by England. Emmanuel Shonupe is a fast-moving right-sided attacker who gained his first experience of senior football on loan at Scottish Premiership side St. Mirren during the latter months of 2014-15. He made four league appearances for the Saints, having helped our Academy side win the IMG Cup in Florida in December, 2014. He has been capped by England at Under-16 and 18 levels. Ikechi Anya once wanted to be part of the Flying Eagles, but the team selectors did not consider him. Since then, he has been capped by Scotland, which means he can no longer play for Nigeria. His team mate, Odion Ighalo, is already an established Super Eagle, who still has a lot of years left to serve Nigeria. In Ola Adeyemo, Watford also harbours a potential Super Eagle, who is qualified to represent Nigeria through his parents. The 21-year-old striker recently signed a contract that will keep him at Watford until 2017 and will continue his development as part of the Hornets’ youth setup. Adeyemo previously played in Scotland for Dundee United and East Fife. Victor Anichebe’s career has not lived up to the promise he showed when he emerged from the Everton youth ranks some years ago. After failing to tie down a regular shirt at the Merseyside team, Anichebe signed a three-year deal with West Brom in 2013 with the hope of getting more first team opportunities, but a combination of injuries and poor form has seen the muscular striker playing a peripheral role in an average West Brom side. In the West Brom youth set up are 19-year-old Josh Ezewele and Ernest Okoh, who are eligible to play for Nigeria if they lived up to their potential. 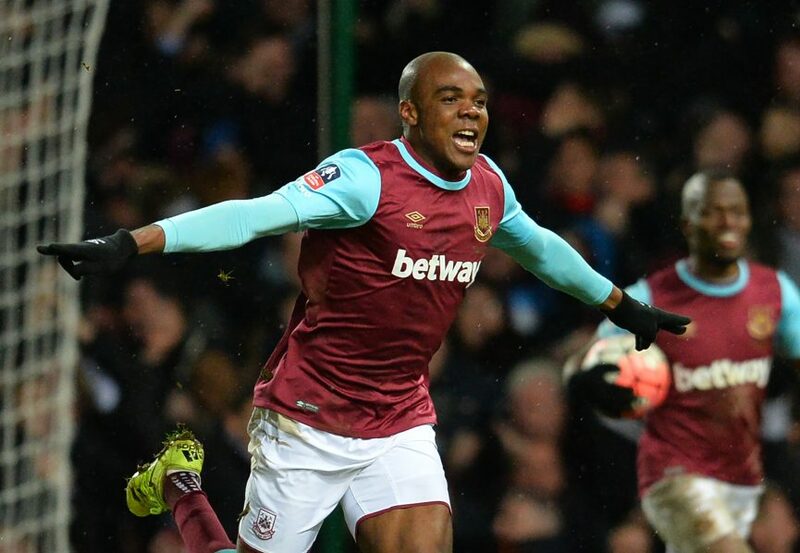 Angelo Ogbonna, a Nigerian born in Italy, has already represented the Azzuris at senior level and so cannot play for the Super Eagles, but there are other players of Nigerian descent in West Ham qualified to play for the three-time African Nations Cup champions. Aside the established Super Eagles’ strikers, Victor Moses and Emmanuel Emenike, who are on loan at West Ham from Chelsea and Fenerbahce respectively, there are also Tunji Akinola, Idris Kanu and Moses Makasi, who are eligible to play for Nigeria. Akinola is a promising defender, who made his Barclays U-18 Premier League debut at Everton in 2014 aged 16 and since then has been a regular member of the West Ham U-20 squad. Despite his tender years, Tunji Akinola is blessed with maturity, both on and off the pitch, beyond his age. Kanu is a predominantly U-16 striker, who burst onto the U-18 scene with a brace against Liverpool that helped the Hammers win 3-2 in the 2014/2015 season. This feat was even more impressive considering the fact he’d already played another game earlier that same day! Moses Makasi is a 20-year-old defensive midfielder, who is strong in the tackle and composed in possession. He was a regular starter for West Ham’s U-18s in the second year of his scholarship in 2013/14, starting 25 times and making three substitute appearances. Makasi signed his first professional deal with West Ham United in summer 2014.